The Airbus wing assembly plant in Wales has been given extensive coverage in the media but the possible affect on a plant in Scotland has received no such overage. The wing structures on Airbus commercial aircraft are constructed at the Spirit AeroSystems Europe factory in Prestwick and shipped down to Wales. Spirit lists their international manufacturing plants as France, Scotland, North Carolina, Oklahoma and Malaysia. In April this year Spirit moved 70 jobs from Prestwick to the US. They have gained more and more work from Airbus over the last nine years. It is fair to say these contracts were a lifeline to Spirit at Prestwick creating additional employment in an area where these high value jobs are really important. Newsnet is not suggesting in this special report that these jobs will definitely go as Airbus has been working with its UK suppliers in the hope of securing the future of its current UK presence. Aerospace is a hugely competitive industry and countries will fight hard to gain a share and grow what they have. We are saying that an eventual Airbus exit from the UK or downsizing of Airbus’s UK operations could have implications for Spirit at Prestwick with knock on effects for the aerospace industry in Scotland that has grown to some significance and diversity in recent years. Spirit won a major new Airbus contract last summer for wing spoilers creating up to 100 jobs at the Prestwick plant. 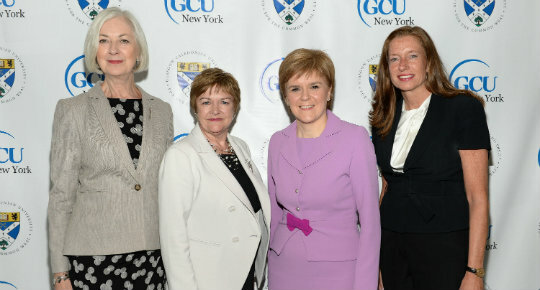 First Minister, Nicola Sturgeon made the announcement when she spoke at Spirit AeroSystems Europe Ltd, where she confirmed the Prestwick-based company had won a contract to produce new carbon wing components for the Airbus A320 aircraft. Speaking to a meeting of Spirit employees and other invited businesses last summer the First Minster said, “Spirit AeroSystems is an excellent example of a company providing industry-leading expertise and investing in Scotland. It is significant that research and development grant support from Scottish Enterprise has helped the business win this important new Airbus contract. “R&D drives innovation, which in turn boosts productivity and economic growth. That is why R&D support from our enterprise agencies will increase almost 70% – from £22 million to £37 million per year. We expect this additional £45 million over three years will unlock a further £270 million R&D expenditure by companies. Kansas-headquartered Spirit pledged to establish a “world-class manufacturing platform” capable of delivering more than 600 spoilers per month. Production on the Airbus A320 single aisle fleet is scheduled to begin by 2019 when Spirit expect to add a further 50 new jobs. A spoiler is a device used to reduce the lift of an aircraft in a controlled way. Spirit AeroSystems designs and builds large aerostructures, including fuselages, pylons, nacelles and wing components, for both commercial and defence programs. From its facilities at Prestwick, its operation is known as Spirit AeroSystems (Europe) Limited. Spirit Europe is one of the largest airframe suppliers to Airbus and is a key supplier of major wing structures. Spirit Europe also produces wing structures for Boeing. This video link shows Sprint’s particular manufacturing specialisation. Although a promotional video for the company it will let readers see the high tech nature of Sprint fuselage and wing structures required to meet exacting tolerances under exceptional pressure, vibration and temperature changes. Is there a Brexit spoiler risk? Car manufacturers BMW and Jaguar Land Rover have also sent warning shots across the bows of the UK Government that clarity on a EU trade deal is past time. The dominoes are aligned and their stability requires positive signs of a move towards a customs union and remaining in the single market. The Japanese have been uncharacteristically forthright. Honda and Nissan came to the UK because it gave them a presence in Europe being the market they came to supply. The automotive industry employs 800,000 people across the UK. For every one of those jobs, as with the 14,000 jobs at Airbus in the UK, six times as many jobs are supported through the supply chain, distribution, logistics, site operation and maintenance and expenditure circulating through local economies. Then there are the tax revenues, business rates, national insurance payments, VAT and customs duty payments collected on corporate and private expenditure that fund the teachers that teach their children, the nurses and doctors that care for them when ill.
For 12 months Airbus has been trying to engage with May’s government and frustration in the lack of answers has reached a point where Airbus must look to make decisions in the company’s future interests. Airbus is a leading international aerospace company headquartered in Toulouse, France. Airbus was formed by bringing together national companies from Germany, France and Spain. Its plant at Broughton in North Wales assembles 1000 wings a year for all its commercial aircraft output. Assembling a complex major part of Airbus aircraft involves a multitude of parts, many from UK companies including Spirit AeroSystems Europe. The uncertainty over any kind of Brexit deal means the company must plan ahead, unlike the UK government that cannot even plan ministerial agreement. The clock is ticking as the EU constantly reminds UK negotiators. Companies that rely on complex supply chains and enjoy the current free movement of parts between the UK and Europe are also clock watching and despairing at the total lack of clarity for their business. The loss of the Airbus wing assembly plant would be very damaging to Wales. Finch-Saunders continued: “It’s also interesting to see that they’ve yet to turn their guns on the French, German and Spanish governments which own 26% of the company. It is a head in the sand approach. That the German, French and Spanish governments all have a stake in Airbus underlines the lack of influence the UK government has on a company it has failed to engage with. Brexit according to its supporters was supposed to be about taking back control. Two weeks ago it was the additional shift of Jaguar Land Rover production to Slovakia that made the news – now it is Airbus and BMW, owner of the Mini and Rolls Royce cars. A company is duty bound to publish a risk assessment of the risks a company faces. Airbus has done what a responsible company should do – unlike Carillion who sailed into the sunset of oblivion without a care in the world. Taking back control means engaging and cooperating across national borders. May cannot even reach a deal with her cabinet colleagues far less agree an industrial and trade strategy or a capacity to negotiate a deal with the EU. Inaction and indecision is generating industrial chaos from a government not even in control of itself. Paul Drechsler commenting on how Liam Fox’s trade deals were coming along was reported in The Guardian, “…the economic growth that Brexiters expect to flow from exiting the EU through trade deals with other countries is not supported by evidence. “There’s zero evidence that independent trade deals will provide any economic benefit to the UK that’s material. It’s a myth,” Drechsler added. As the retiring President of the CBI, Drechsler gave a farewell speech to CBI Scotland in Edinburgh on 18th May when he talked about another kind of ‘Spirit’. Previous articleWhat is a MEANINGFUL vote worth at Westminster?